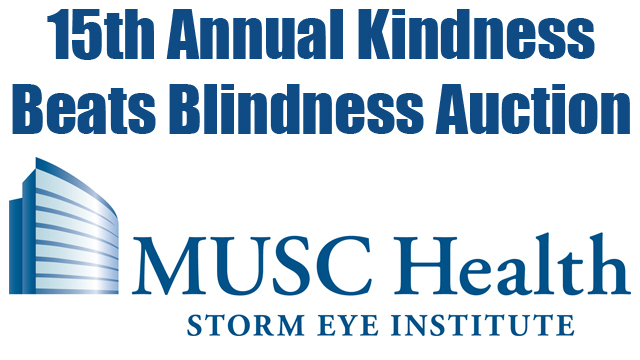 CHARLESTON, SC - The Charleston RiverDogs will host their 15th Annual "Kindness Beats Blindness RP Auction" on Saturday, June 21, at Joseph P. Riley, Jr. Park. The RiverDogs, fresh off their All-Star break, will face the Kannapolis Intimidators with the first pitch set for 6:05 pm. With proceeds going to the Medical University of South Carolina's (MUSC) Storm Eye Institute and their on-going fight to prevent the loss of sight, the RiverDogs' silent auction begins when the gates open at 5 pm and concludes at the bottom of the 6th inning. The Charleston RiverDogs have donated more than $500,000 to the Storm Eye Institute to help fight Retinitis Pigmentosa, a disease that causes blindness and that has affected Rebecca Veeck, the daughter of RiverDogs President Mike Veeck and his wife, Libby. A Week's Vacation at "Serenity by the Sea"
Folly Beach hotel two-night stay: paddle boarding, dinners, sailing tour, kayaking, bicycle rental and the use of a MINI Cooper for the weekend. In addition, the RiverDogs will have a wealth of sports-related memorabilia including a Freddie Freeman autographed bat, a Chipper Jones autographed retirement poster, a LeBron James autographed Miami Heat jersey, a Muhammad Ali autographed photo and much, much more. For additional information about the "Kindness Beats Blindness RP Auction" or if you are interested in a donation or purchasing tickets to the game, please call Melissa McCants Azevedo at (843)577-DOGS (3647) or visit www.riverdogs.com or www.rileyparkevents.com.